It’s Important To Get Burst Pipe Repair in Order To Avoid Water Damage and Mold. Your Floors: If water from your burst pipe leaks or floods, it’s most likely going to get on your floor. There are several problems with that, the first being that is can cause structural damage to the floor. This is especially true if you have wood floors; when water is left standing long enough, it can cause the wood to start to warp. The second problem is that is can cause mold growth underneath and on the floor. 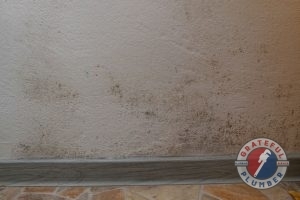 Again, when water is left standing for more than 24 hours, mold can start to grown. 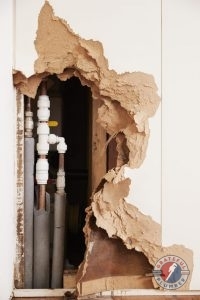 Your Walls: Your water pipes are located behind your walls, so the first thing that is going to get damaged are your walls. Not only can the water from the burst pipe cause damages to the structure of the wall, but if there are electrical wires behind the wall, there is a chance that the water and the electrical wires come into contact and start a fire. While the biggest concern would be with your interior walls, the walls on the outside of your home are also threatened by water. You should also be aware that if it penetrates far enough, it can cause problems with the drywall. Your Furniture: Depending on the extent of the water that accumulates from a burst pipe, your furniture can also become damaged. Wet furniture is never good, as it is also a good place for mold to grow and spread to other areas of your home. Your Electronic Components: Electronics can include computers, TVs, appliances, etc. that are plugged into your wall that come into contact with water that has burst from your water pipes. In order to avoid a burst pipe from happening in your home, it is so important to get plumbing maintenance. Or if you are noticing that your water pressure is a little too high or it’s extremely cold outside, you call a plumber and ask them what you can do. If you call a plumbing contractor for burst pipe repair, you can expect pipe burst repair time to be around four to six hours to repair. This is because they need to know how bad the damage is and it takes a bit of time to repair water pipes. What Do You Do If a Pipe Bursts? There Are Steps To Take When There is a Burst Pipe in Your House. While a water pipe burst inside house is one of the most overwhelming things that can happen to a homeowner, you have to do what you can in order to protect your home from water damage. There are a couple of things that you need to do in order to reduce water damage and flooding in your home. The first thing that you will want to do is stop the water; the way that you will do this is by locating the main water line and turning it off. 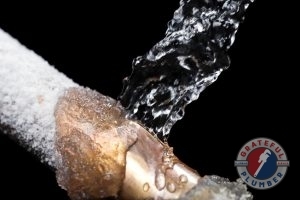 The main water line shutoff is usually outside but if you live in a colder climate it can be located in your home. Once the water has been shut off, you will also need to run your sinks and flush the toilet to ensure all of the water is out of the pipes. Next, you will want to remove as much water as possible. Be sure that you wipe up areas that can have water easily hidden. When the water has been cleaned up, open up a window to dry your home out. Another thing you can do is turn on the AC to remove humidity from the air and then turn on the heater to remove moisture. After all of that is complete and a plumber has come by and fixed your broken water pipe, you can call a professional water removal company to make sure there is no water in your home or mold growth. Is a Burst Water Pipe Covered By Insurance? Insurance Companies Will Not Cover Burst Pipe Repair If the Incident Could’ve Been Prevented. When a water pipe bursts, a lot of people want to know if they will get water and flood damage insurance claims assistance from their insurance company. If you have water or flood damage from a burst water pipe, your insurance coverage policy should cover the cost of the burst pipe repair that is needed for the burst pipe and any damages. However, it’s important to note that your insurance carrier can deny your claim if they think that the burst pipe could’ve been prevented. Pipes tend to burst due to water pressure, freezing pipes, moving pipes, and corrosion, so if your insurance company gets one of their adjusters to inspect your broken pipes and they determine that the damage could be prevented, you will need to cover the cost of your repairs. How much does it cost to fix a burst water pipe? It’s going to depend on if burst pipe repair is an emergency or if it’s not that serious. If burst pipe repair is needed right away, it can cost somewhere in the thousands. It’s also important to note that where the pipes are located as well as the time of year will also play a part in how expensive the repairs are. Because your insurance company can deny you based on the claim that the pipe burst could’ve been prevented, it is so important that you always get a plumbing inspection for your pipes. This way you have evidence for your insurance company that you actually had maintenance done. Not only can it help when it comes to your insurance company, but there are other benefits of a plumbing inspection. If there are any leaks coming from the pipes they can repair them before they become bigger leaks. Inspections can determine the condition of your pipes and whether you need repairs or replacement. Save on the cost of expensive repairs as well as on your water bills. Plumbing inspections for your pipes can save you because they can determine if there is high water pressure, corrosion, or if your pipes have moved, which are the culprits of burst water pipes. When you need burst pipe repair, it is so important that you call a licensed and insured plumbing contractor. 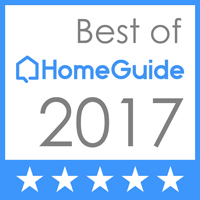 At Grateful Plumber, we are able to provide pipe burst repair in Indianapolis, IN for homeowners who are looking for affordable burst pipe repair. 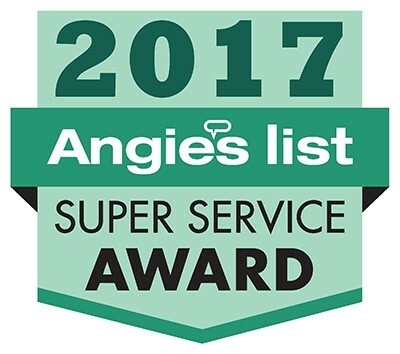 Just call us at 317-677-4918 to make an appointment today! 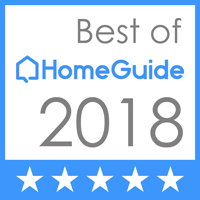 Posted in Uncategorized on November 26, 2018 at 8:09 pm by Grateful Plumber.